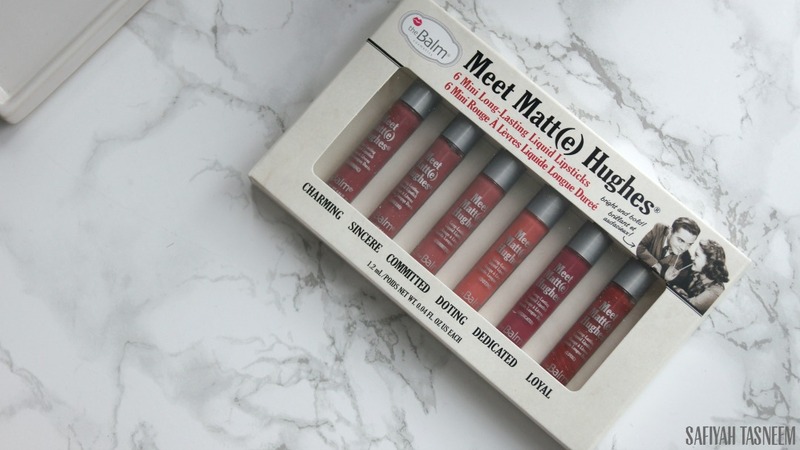 This second Sunday Swatches and review post is of yet another liquid lipstick mini set, the Balm Meet Matt(e) Hughes liquid lipsticks. I decided to get this up on my YouTube channel too so you can see it in action, definitely let me know if this is something you'd like to see more of! As aforementioned in my last liquid lipstick post (Kylie Birthday Edition Set) I struggle to find good swatches with online makeup brands and everyone's lips look different wearing one shade. I've got a darker/pigmented top lip so I tend to buff a bit of concealer/foundation around the edges of my lips to give it an even base for the colour to show on. 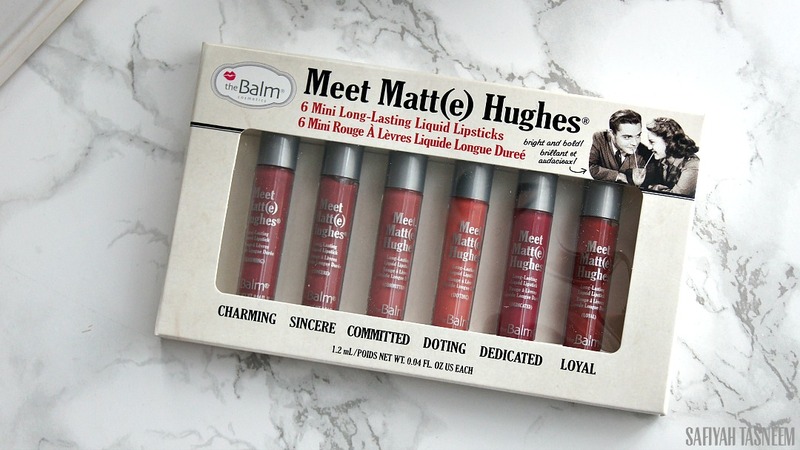 Packaging: I don't own a full size Meet Matt(e) Hughes lipstick, but it looks like the packaging is a mini version of it, with the name and description, but minus the picture of (supposedly) Matte Hughes. The applicator is a standard doe foot wand, however application can be messy as there's no suction to keep the product from over loading on the wand. It feels like the packaging of a mini lipgloss set you can get for kids if I'm honest, but you do get 1.2ml in these minis which is still more generous than the Kylie mini set. You get a whopping 7.4ml in a full size Meet Matte Hughes liquid lipstick FYI, compared to 3.75ml in Kylie full size. Colour & Pigmentation: The colours at first glance are a pretty good selection for someone like me who loves nudey pinks but also on occasions likes to wear a bright lip. I genuinely think the colour range is great in this mini set if you wanted to try out the brand. My favourites shades were Charming and Sincere, least favourite was Doting as it looked somewhat fluorescent on my lips (probably because they're pigmented/darker?). I also feel like Committed was slightly too light for my lip tone. Pigmentation wise, they were all of good coverage barring the shade "Doting" which was completely uneven and patchy to apply, so much so I had to take off and apply three times to feel satisfied with the coverage! I'm not sure if this was just my pack or all mini packs or all the full size "Doting" shades too. Texture-wise, aside from Doting, they were a lovely moussey consistency (which works better for my lip skin type) with enough slip to apply effortlessly and smooth. Finish: These liquid lipsticks dry matte with an ever-so-slight stickiness. These also dry slightly darker than when first applied. I did find that my lips got progressively plumper as I swatched these lipsticks; more so than a normal swatch session, which made it slightly uncomfortable for me/my posing by the end of the swatch video! I have a feeling that this is because of the mint in the product.. so if you're after a plump pout, be sure to apply and reapply a few times! Longevity: As the name suggests these lipsticks are fairly "long-lasting"; on average when I've worn these, they can last up to 5 hours+ without budging (less of course if eating oily foods). I did find however that straight after application and drying, the corners of my mouth feel like they are crumbling; the formula does feel slightly drying and cracks after a while, but not as much or as uncomfortable as the Kylie liquid lipsticks. Price: The price of this set is £25 (or £21.50 here) which works out to around £3.58 per liquid lipstick on this discounted price (full size is £13.50). The set is available from Superdrug and LookFantastic. *EDIT* I've found a discount code that works HERE on the lower priced £21.50, so you can get the set for as little as £18.28! 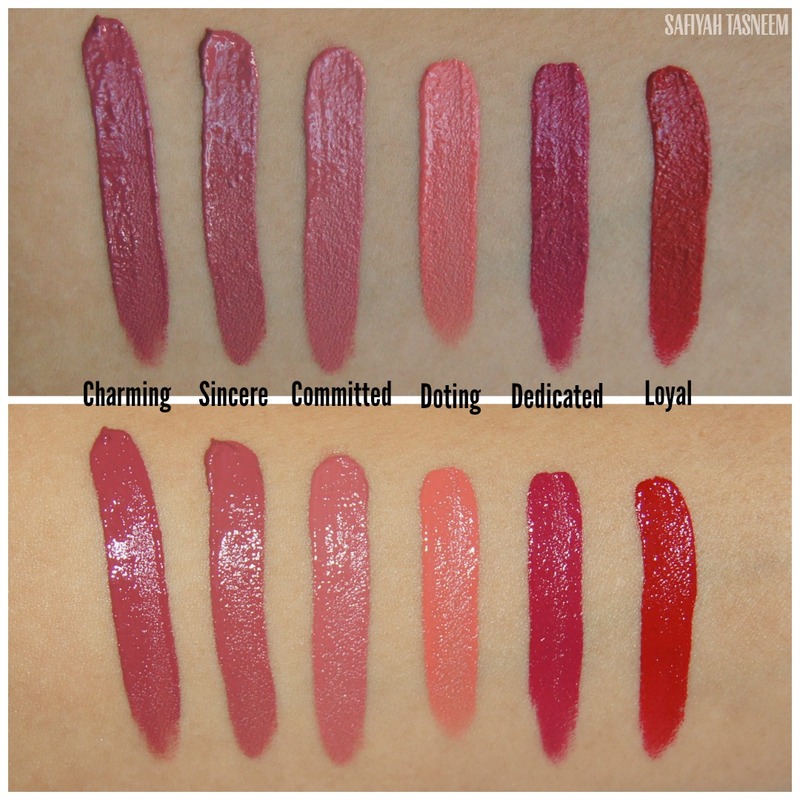 Use code "TREAT"
Overall rating: I like the shade range available and most of the shades' texture was consistent, but I do not need the plumping effect so if you're looking for a plumping type matte liquid lipstick, this is the one for you! I give these a 3.5 out of 5 for myself, but for fairer skintones and those in need of a lip plumping product, this will probably be a 5! 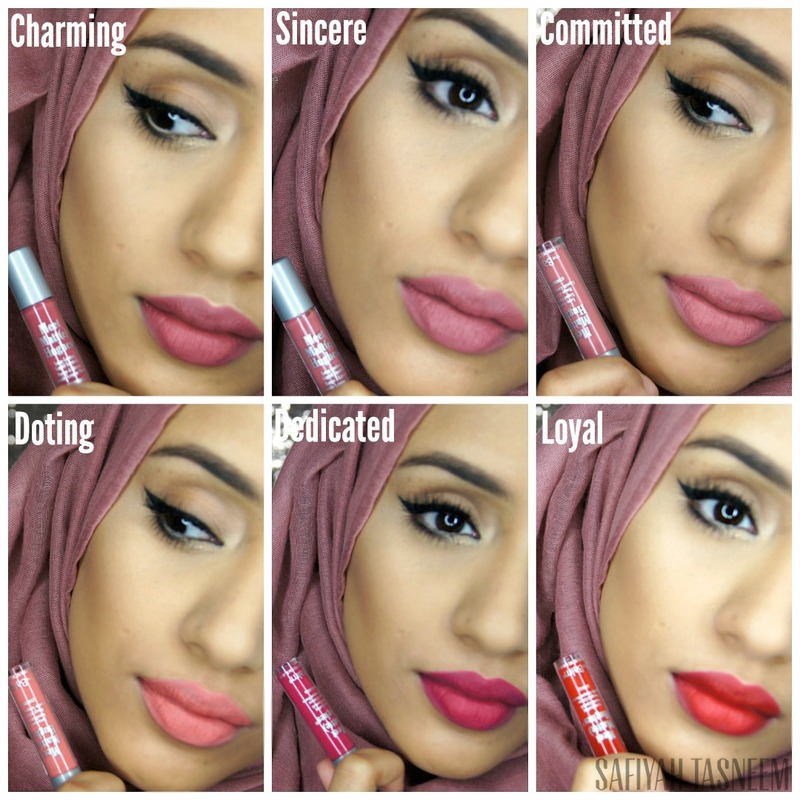 Have you tried any of these shades from theBalm's liquid lipstick range? Which do you recommend?